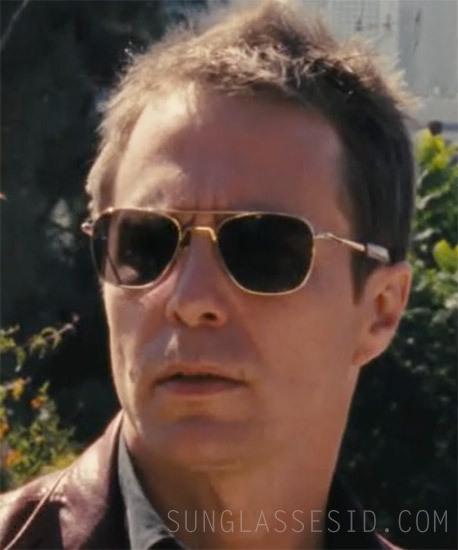 Sam Rockwell, as Billy Bickle, wears Randolph Engineering Aviator sunglasses in the film Seven Psychopaths (2012). The glasses can be recognized by their typical bayonet temples and shape of the frame. It looks like Sam Rockwell wears the model with gold frame. This hand assembled, US brand is often spotted in films and tv series, see more Randolph Engineering sightings in films here.